Well it considering my last post this could not have come at a better time. 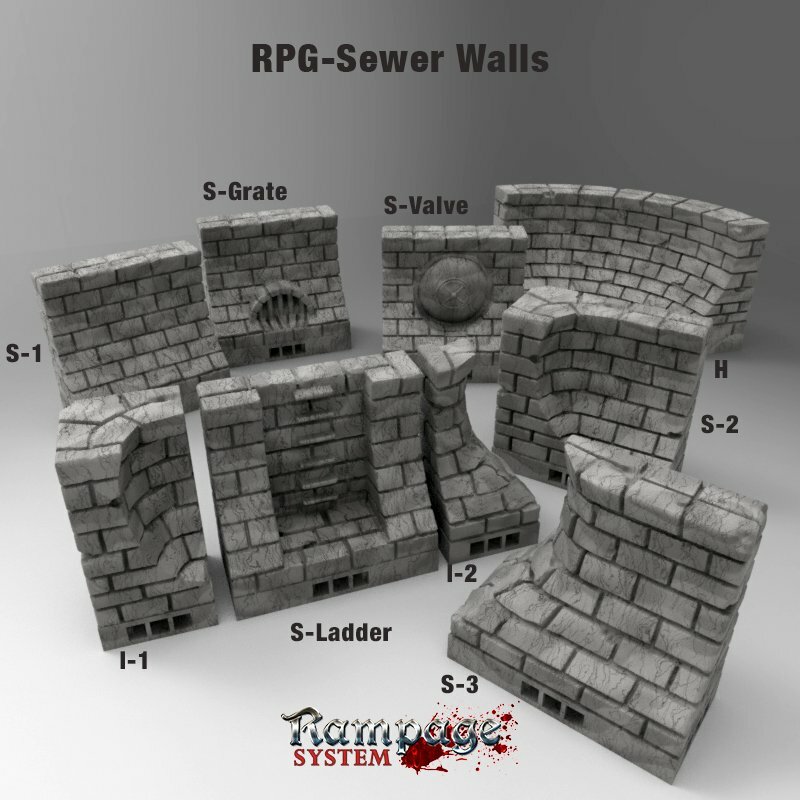 Humble Bundle is having a mixed bundle of 3D printable dungeons! 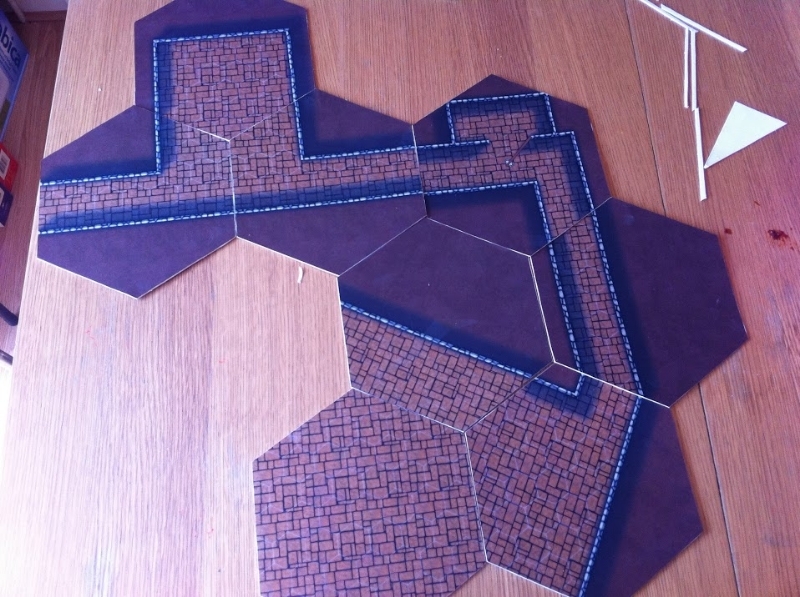 I know these are <yuk> square grids and not the majestic hexagon dungeons I prefer but it is a start into the realm of making a physical Mega Dungeon! Fat Dragon Games, Black Scrolls Games, Hobgoblin-3D, and Iain Lovecraft have all contributed to this Bundle to help raise money for the Navy-Marine Corps Relief Society. 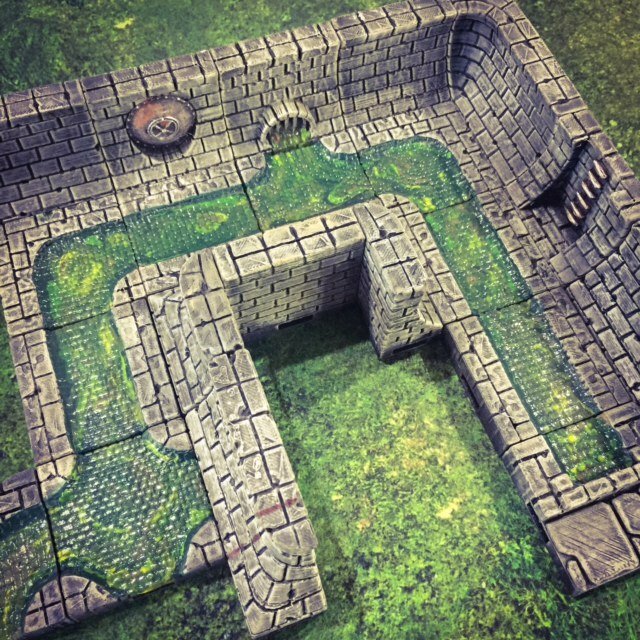 Until I either learn how how to 3D model my own dungeons (because I have soooo much time on my hands) these will be a good place to start my delving into 3D printed dungeons. Get your while the sale is on and help support a good cause. You also get 30% off from one of the contributors on your first purchase! Take 30% off all titles at Fat Dragon Games, Black Scroll Games, Hobgoblin3D, and Iain Lovecraft! Note: User registration required to redeem discount. Limit one redemption per account. I’m currently doing more craft related stuff for DFRPG/DF than I am actually playing. The troubles with living in a University City is the transient population and most of my players have moved away. My new job only gives me 1 full weekend off a month, 1 Saturday, and 1 Sunday. So at best I could get in two games a month which would be great. However I’d have to find a group that will commit to those days. I’d also would rather play in person rather than via a host client like Roll20 or Fantasy Grounds. 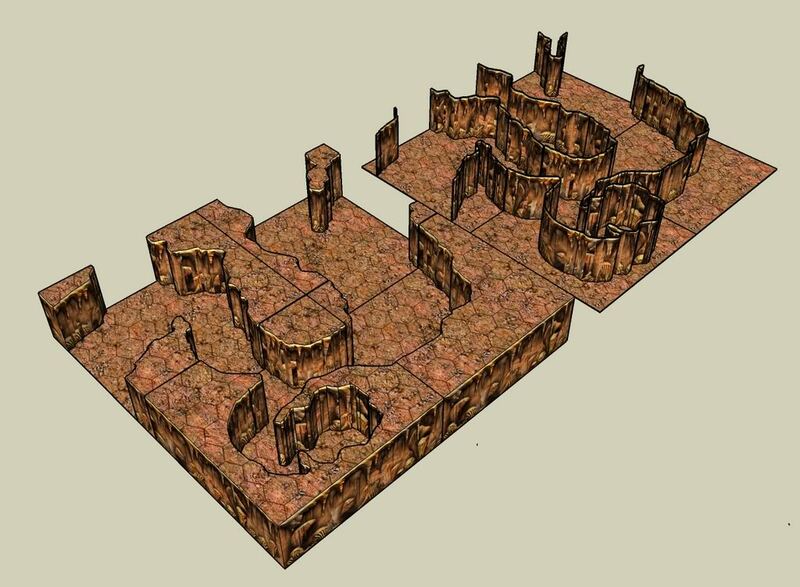 I’m contemplating if I should purchase commercially designed dungeons for 3D printing, free dungeons from Thingiverse, or have a crack at designing my own. The last option would take years to accomplish. 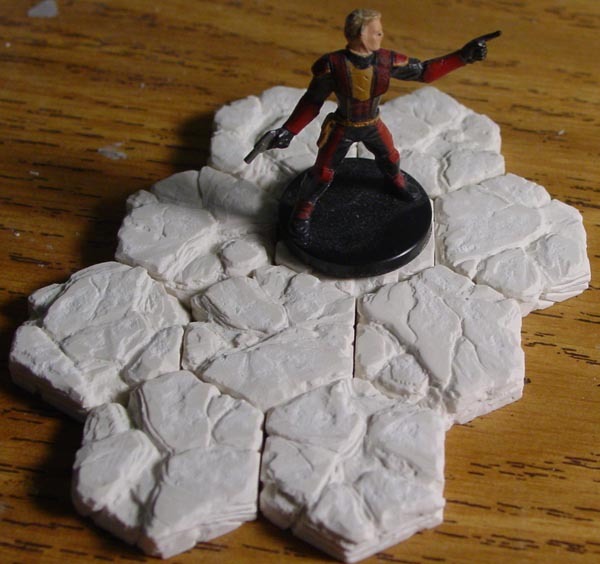 There are plenty of beautiful Gloomhaven tiles out there but they are 1.5″ and not 1″ hexes and that is a deal breaker with me. 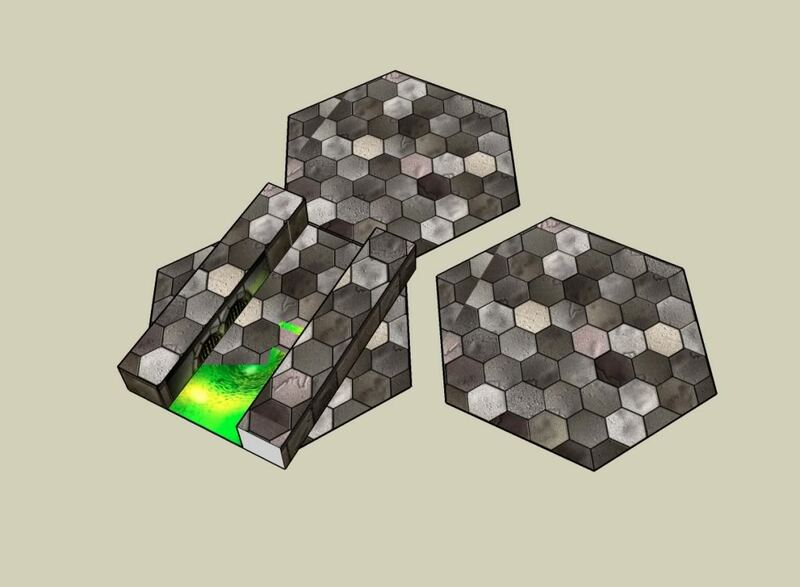 I have considered printing the Hex Geomorph dungeons in 15mm scale but you lose a lot of detail and at that point I should just stick with the magnetic tiles. 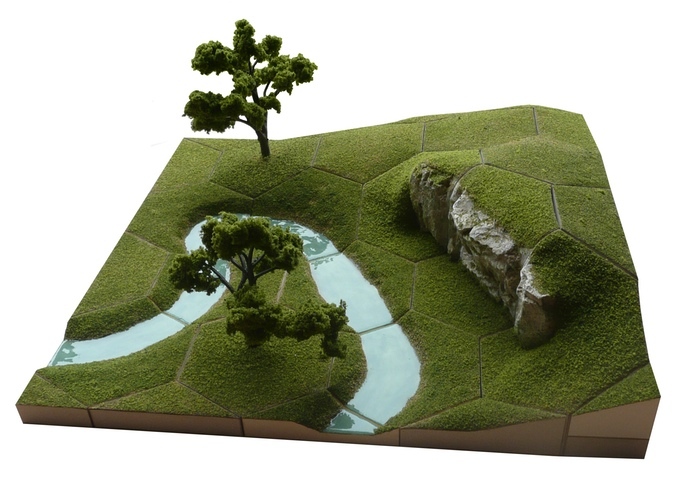 Fat Dragon Games has moved away from paper terrain into 3D printed terrain. 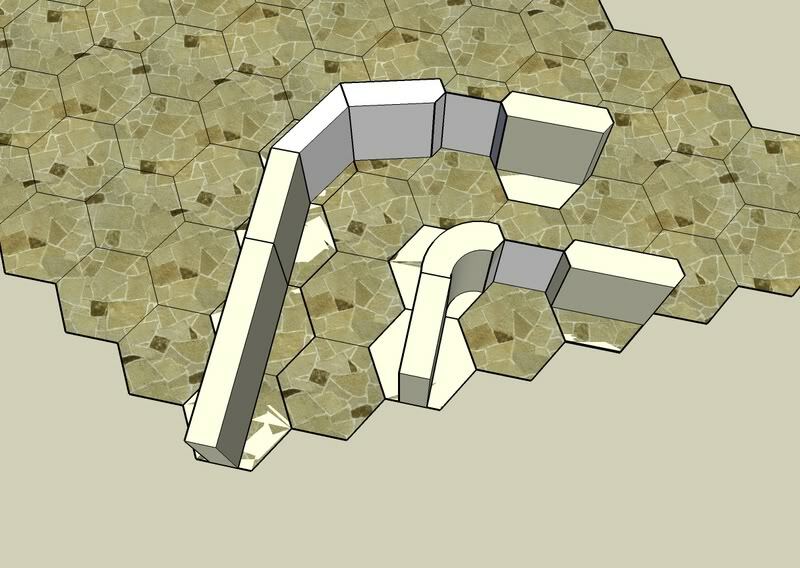 FDG uses the “DragonLock” to keep the tiles together. Nice models and support from the owner. 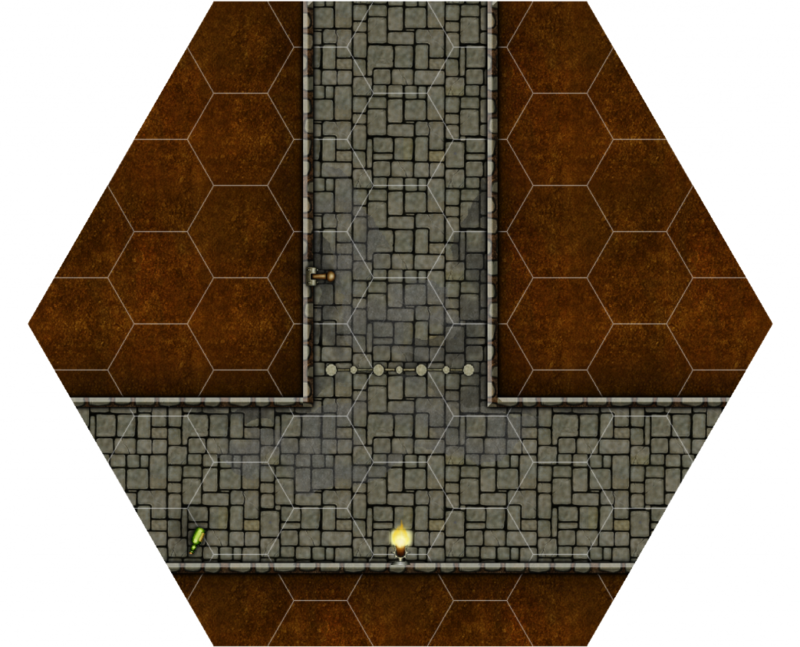 Rocket Pig Games has some interesting dungeons but it uses a completely non compatible style of connecting the tiles which makes it unattractive. They are also more expensive than the previous three. Open Forge is compatible with Dragon Bite, Open Lock, and Infinity Lock. It is also Free on Thingiverse! I just wish he would clean up his prints for the photographs. So I’ve come to the conclusion that if it isn’t “Lock” compatible then it isn’t worth the effort no matter how affordable, or how amazing it looks. I will also have to resign myself to square tiles and use the GURPS Range Ruler during play. 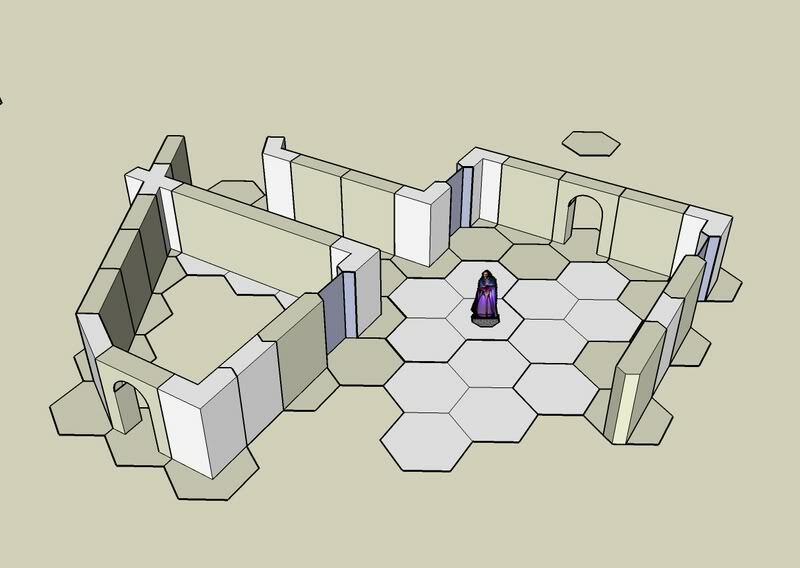 However I will not stop the Hex Dungeons and maybe someday I will learn how to 3D model enough to design my own HexCrawl 3D models. I also wonder about the wall height and how that works together. 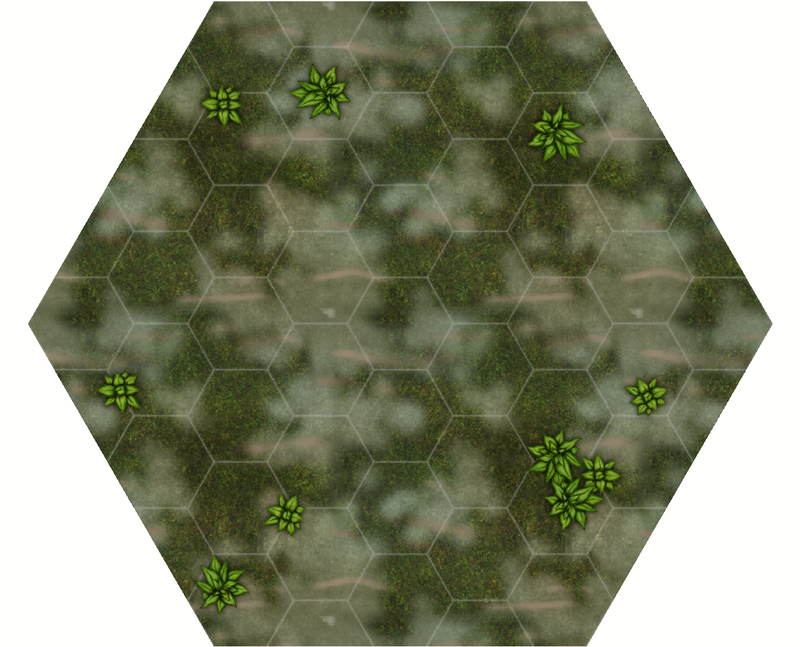 To reduce the extremely large number of tiles I’m creating I’m adding tokens around the tiles. It may use a bit more ink but it also allows you to get more out of your photo paper as well. 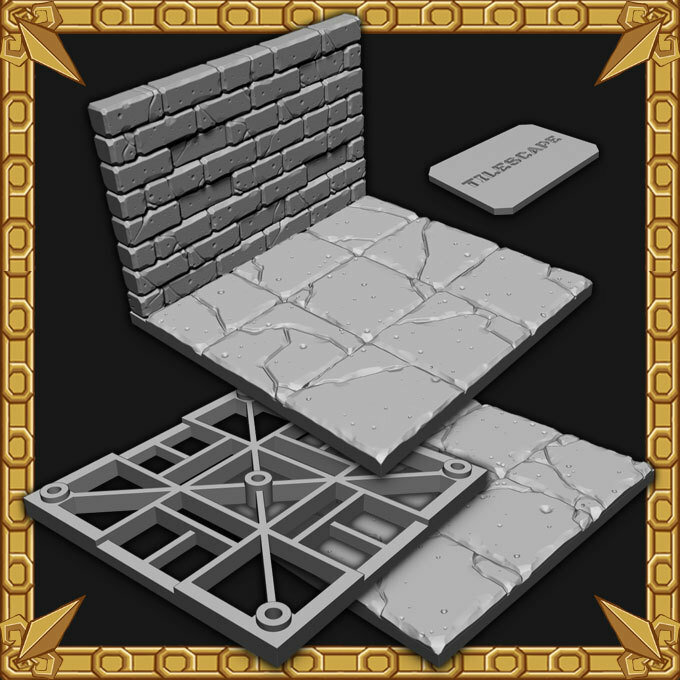 The tokens will allow you to place stairs, traps, treasure, etc. anywhere you want on your tiles. These three style door tokens will allow you place your doors within any area on the tiles for the wider Vertical Corridors. 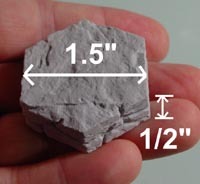 Carefully cut them out with a hobby knife using proper safety procedures and you can then either glue one side and fold in half on the grey dotted line or cut them in half and glue them on to thicker card. The backs of the tokens will have information on the type of door. 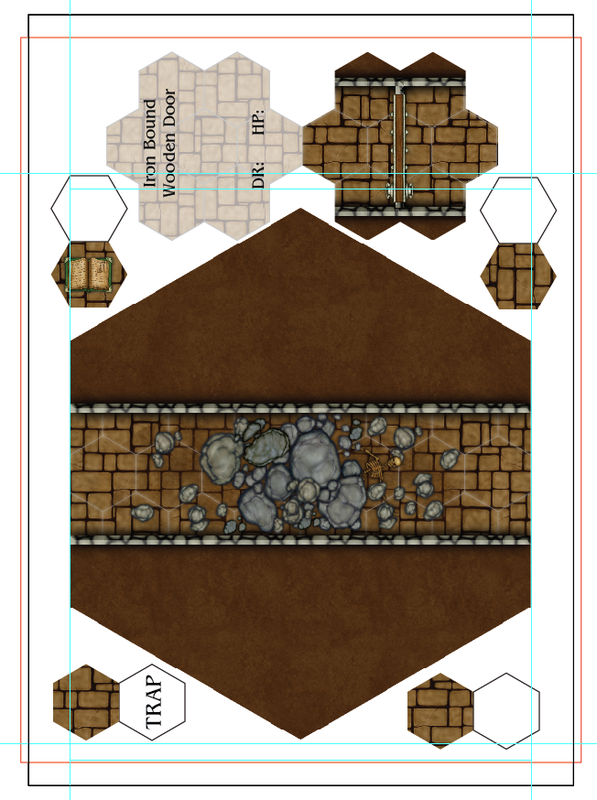 To make this easier and more customizable for those of you using the tiles all token pdf’s will be form fillable. Which means you can enter your own data. The center token in the picture above is how they will all look with blank data fields where as the other two is a representation of how they will look with the information inserted by the user. Test it out on this pdf for yourself! You will have to download the pdf, Google Docs won’t let you use the form features in the preview. Because the Horizontal Corridors have to be slightly reduced in width I have created two types of door tokens for each door type. These also will have a form option on the reverse side. Here are some of the options you can place from getting from one level to another. I manipulated the pit images in photoshop. The top one is a pit down to another corridor directly below it and the bottom one is just a deep pit. I probably should have placed a skeleton on the bottom for scale. 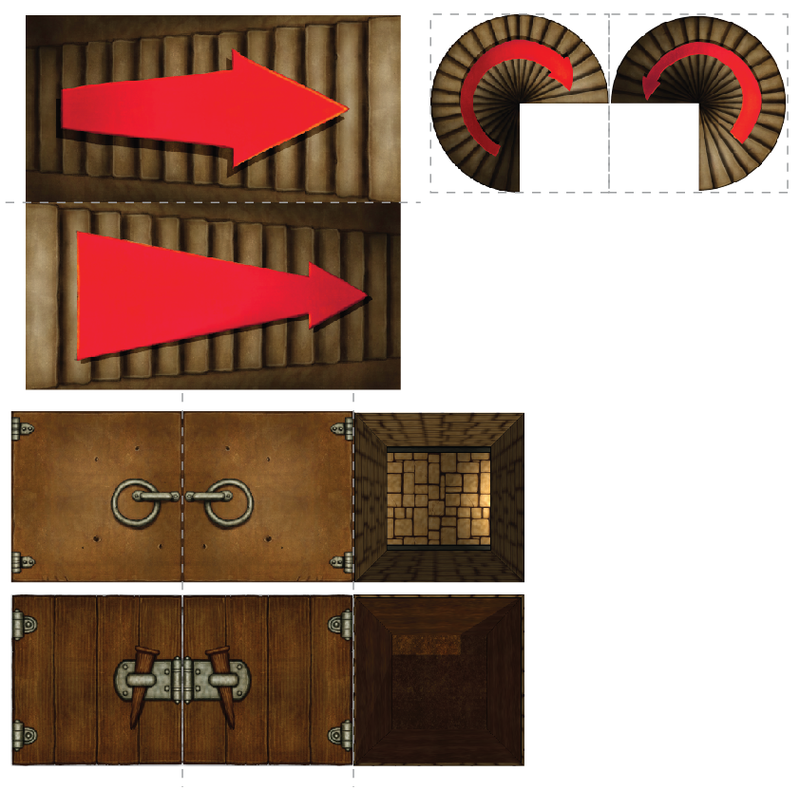 If you fold the pit symbols on the grey lines and glue the trap door parts together then glue the bottom (pitt symbol) to a piece of thick card you can have a pit tile with a working door! Now to make sure that the pdf’s can be used by both A4 and 8.5″x11″ I’ve placed a red rectangle on my sheet representing the size of 8.5″ by 11″. This will make sure none of the pieces will be cut off due to size. Everyone will have to print them with no margins though. I’d be interested to know what kind of tokens people would like to see. 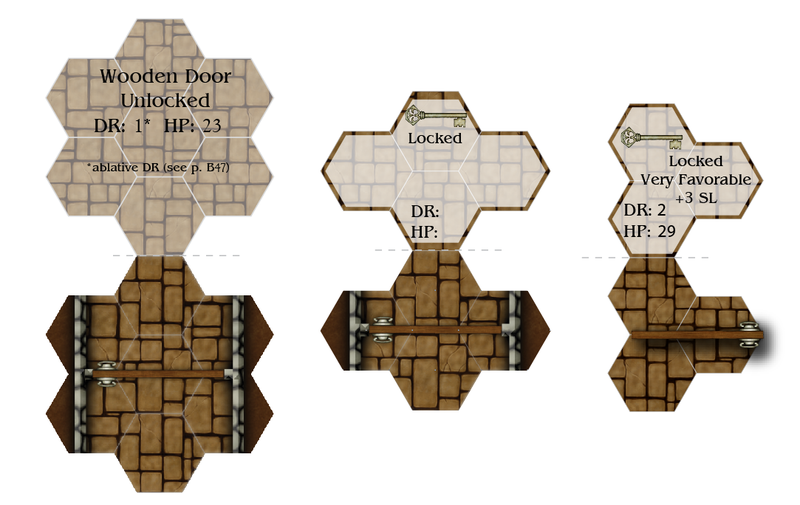 In my last post I gave a brief overview of how my different hex dungeon maps evolved. 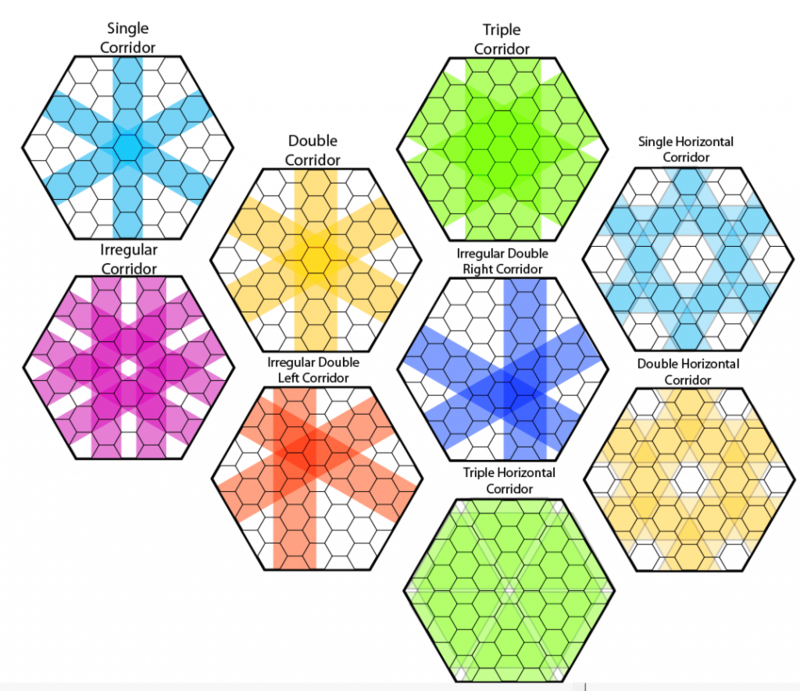 This time I just want to discuss briefly on some hex maps but mostly the 7 inch hex tile. 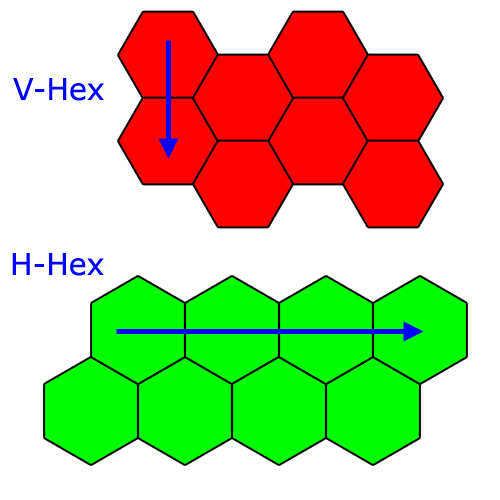 There are two ways to place a hex onto a map. Vertical and Horizontal sometimes referred to Flat to Flat and Point to Point. Now if you are using your map for miniatures the standard movement is 1 inch for the base. 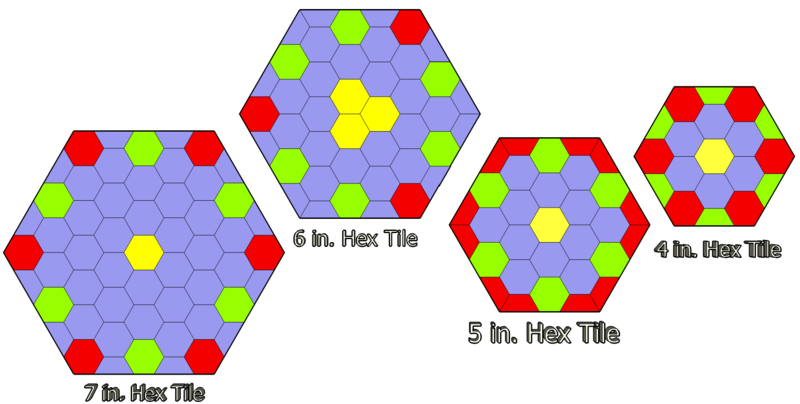 If you want to the distance from top of your tile to the bottom of the tile to be 1 inch this means you have two different possible sizes for your hex. 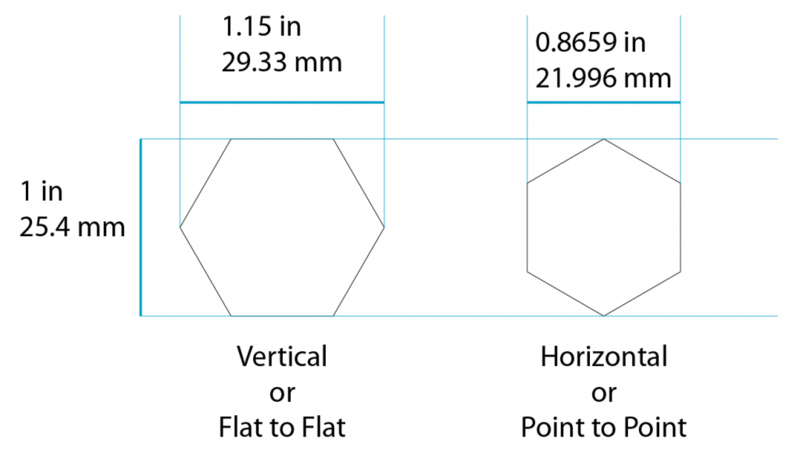 However most people would just stick with the 1 inch distance flat to flat as that will perfectly allow even miniatures with round bases to fit within the entirety of the hex. 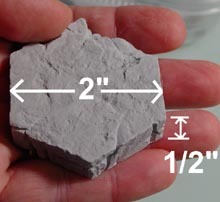 Not to mention that a 1 inch Vertical hex tile is the industry standard for miniature bases. I’ve heard some people refer to them the opposite way but I view it as the direction of travel in a straight line via the flat edge. Very few games that I can recall use the Horizontal grid. 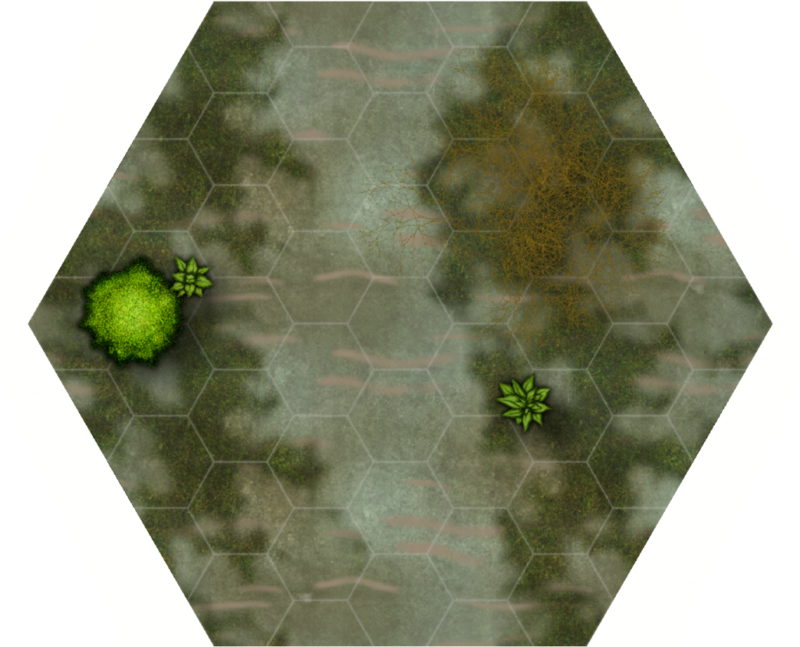 I’ve mostly seen older wargames that use counters, Star Maps (although can use both), and probably most recognised in the gaming community Icosahedral World Maps. I’m sure I’m missing a few. 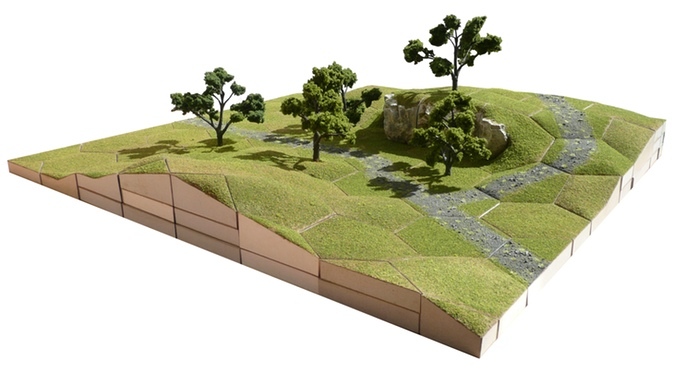 However if your playing with miniatures on a battle map you really want to have a facing edge. 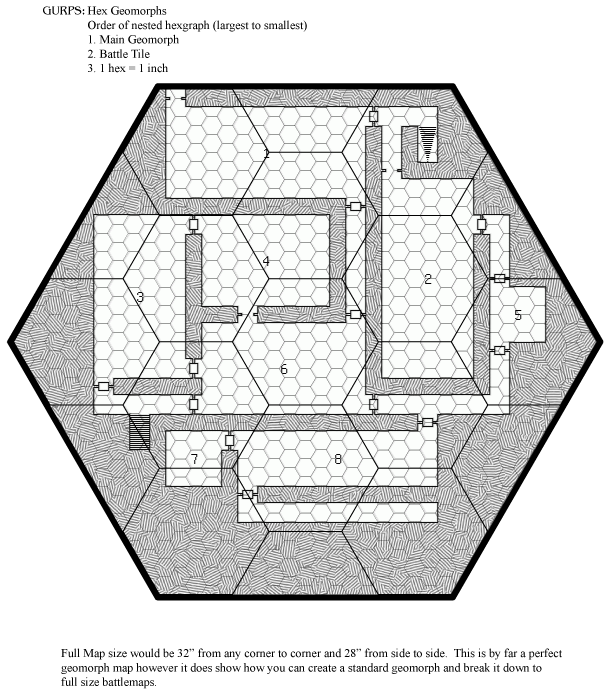 Also I play GURPS which uses Vertical Hexes if players want to use battle maps. So that narrowed my choices down to, well, one. 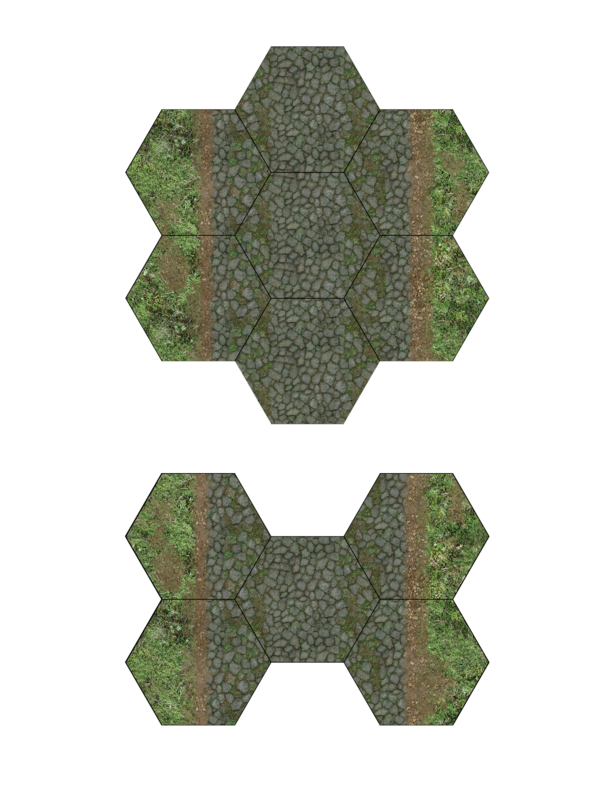 Now in my previous posts I’ve mentioned how I used hex grids on square mats and the problems that can lead to as you need duplicate maps for each directions as each square would have half hexes and quarter hexes. It really wasn’t ideal. I did experiment with Flower Tiles. 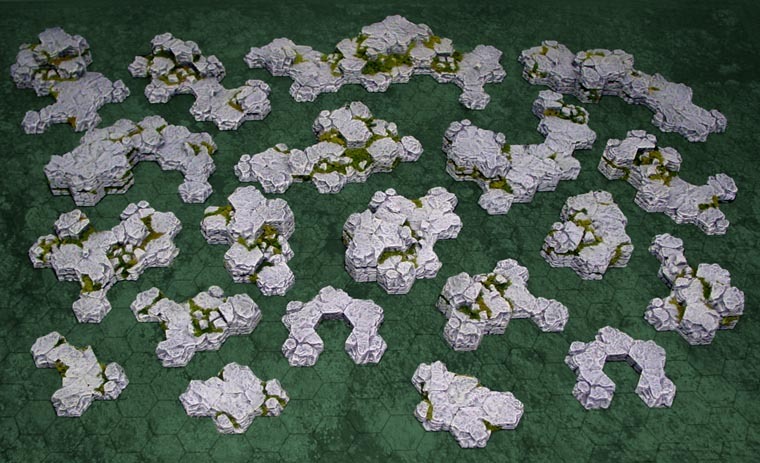 I liked Flower Tiles as they are interlocking but you would require a larger number of varied tiles to make a proper system and it was just too much. I wanted something simpler. 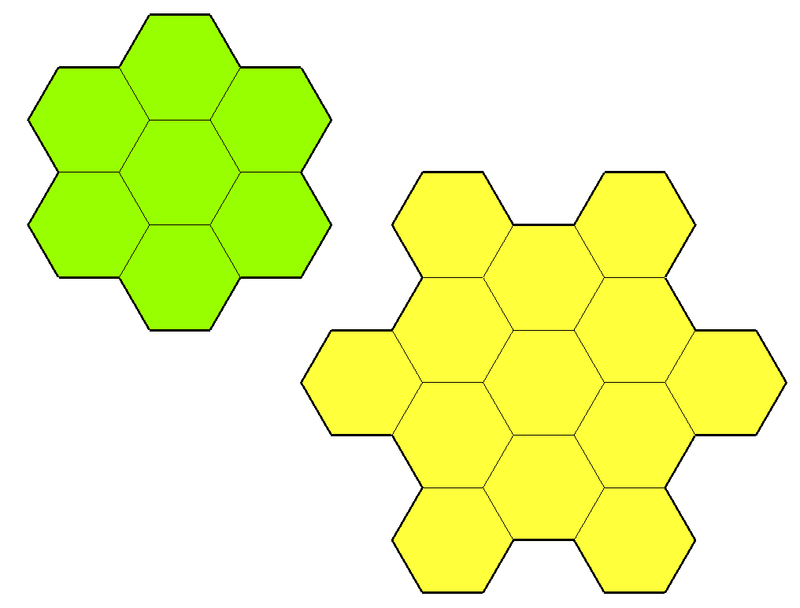 Then I came across the idea, after discussions with Andorax (a World Works Games forum user), to use Hex Tiles. This allowed me to rotate the hexes in any direction and have all the tiles line up. The only thing we disagreed on was whether to use Horizontal or Vertical. I prefer the Vertical so I went with that. 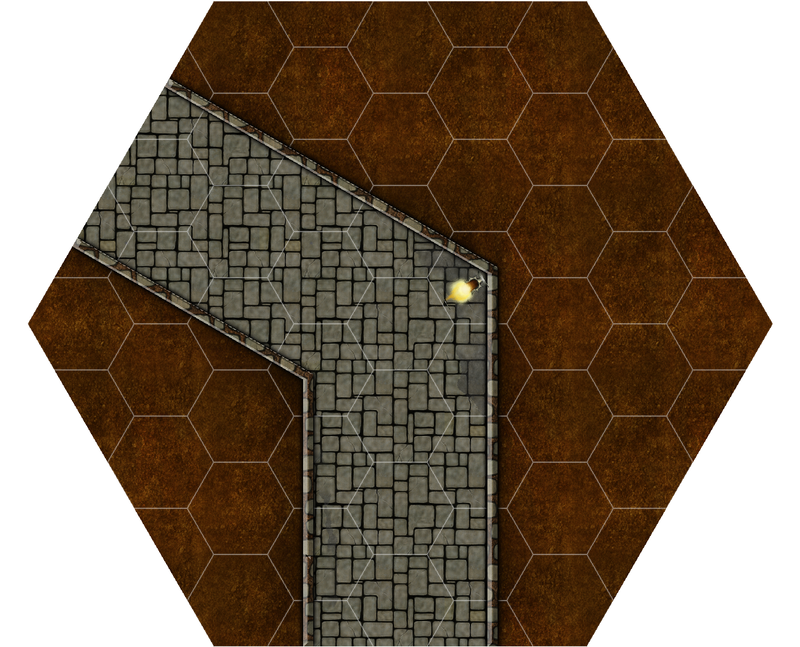 There is a great blog post by Phil Wright “Mapping with Master Hexes” where he goes into in depth detail about how to choose the proper tile size. I’d like to say I did the same thing but honestly I just got lucky. I wanted to fit a tile on a sheet of paper with as little waste so for A4 or US 8.5×11 that ended up being a 7″ Vertical Tile. 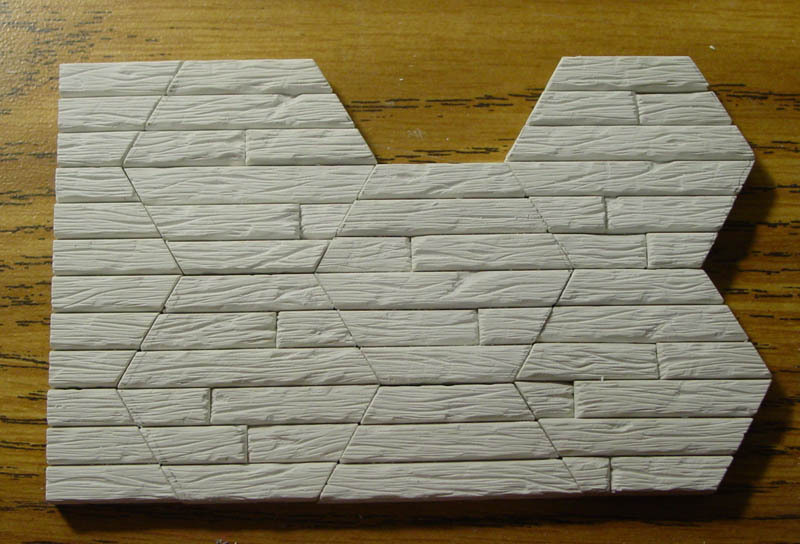 I’ve made dozens of these tiles and even printed out a few on good quality photo paper. 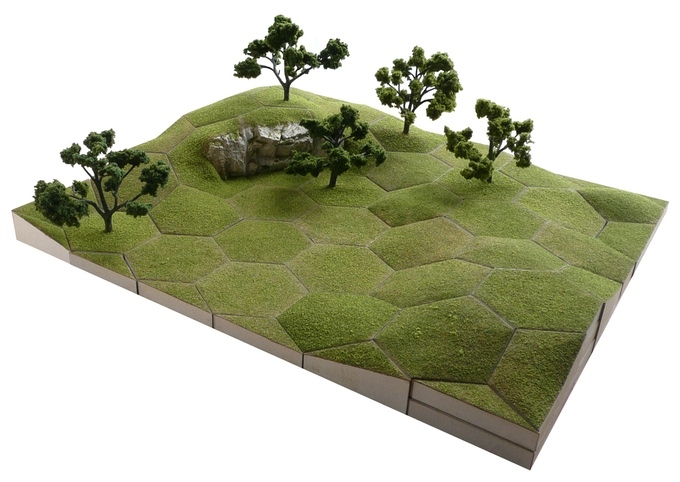 Most Wargames are done in 6 inch sections however that just won’t work with a 6 inch hex tile. 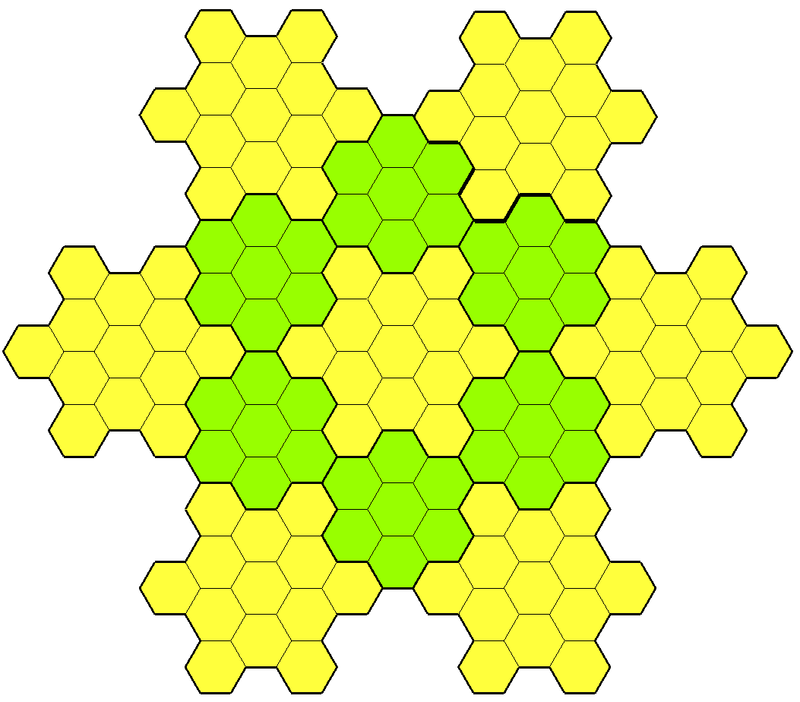 As with a square tile the 6 inch hex tile has too many irregularities for it to be functional. 4″, 7″ are best. you could use 10″ and 13″ but that is starting to get a bit large for me. 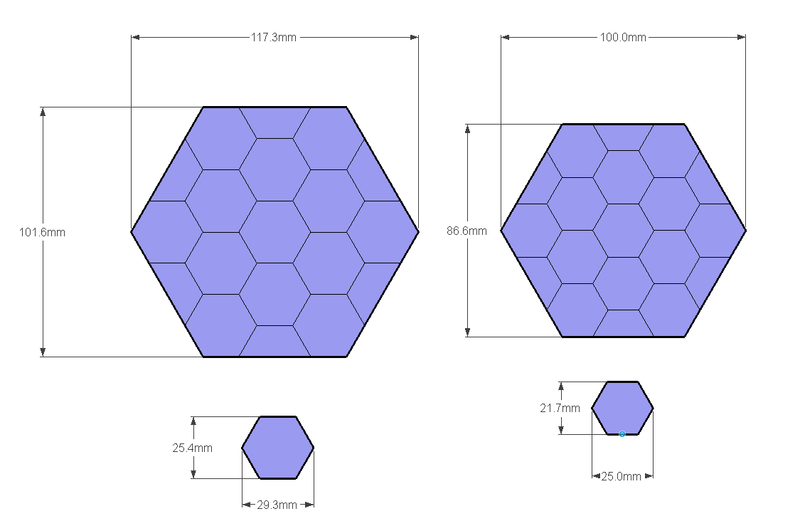 5″ hexes would also be feasible but it personally did not suit me. Now I refused to be confined to all my corridors turning at 60° and 120°. 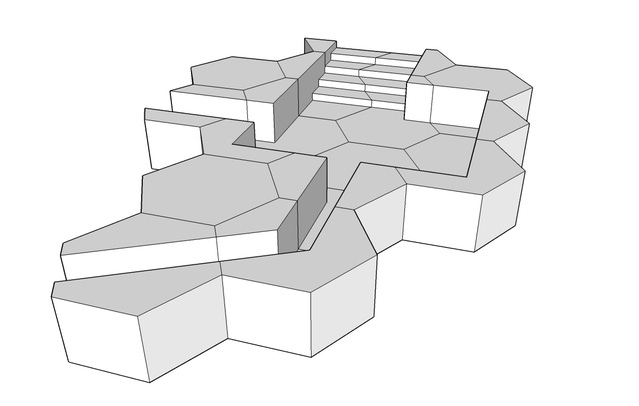 However because of the 120° angle of the outer edges it means that the corridors meet at a slant. 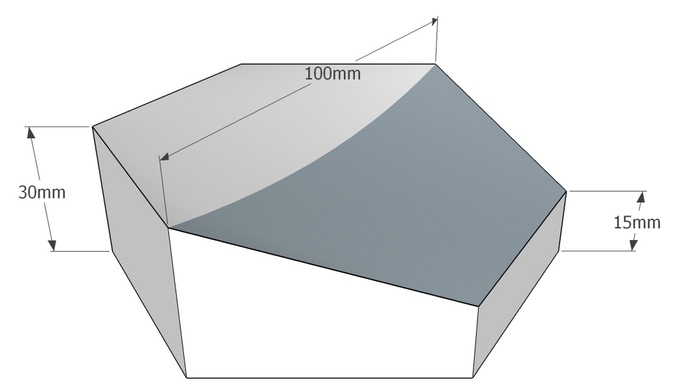 If the walls are all the same, then the walls cutting across the angle wouldn’t match up with the walls that hit it flat on. 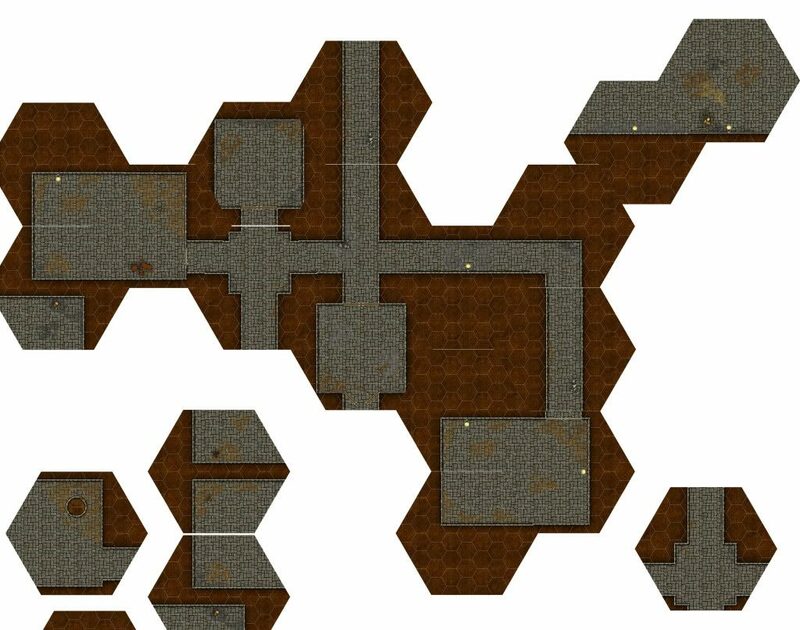 So this means all horizontal, or cross cutting would be a better term, corridors have to be slightly smaller. I’m crap at maths, I’m a visual guy so I kept scaling until it looked right. It is roughly 13-15% difference in size depending on the width of the corridors. 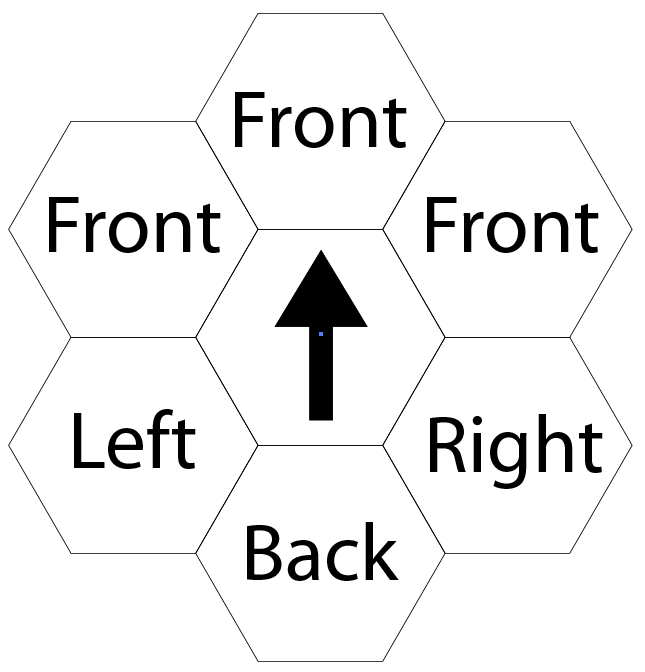 First off I should clarify that in GURPS each hex is 3 feet. Which is about the area that a normal human would occupy. 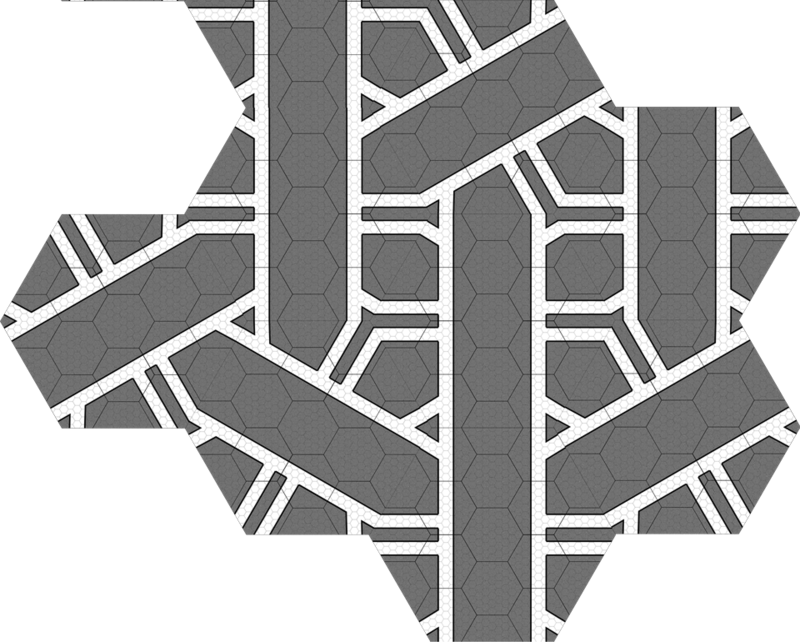 So with the seven inch tiles it allowed me to have 3′, 6′, and 9′ corridors and with the 7 inch tile I could off an array of options of how the corridors connect. 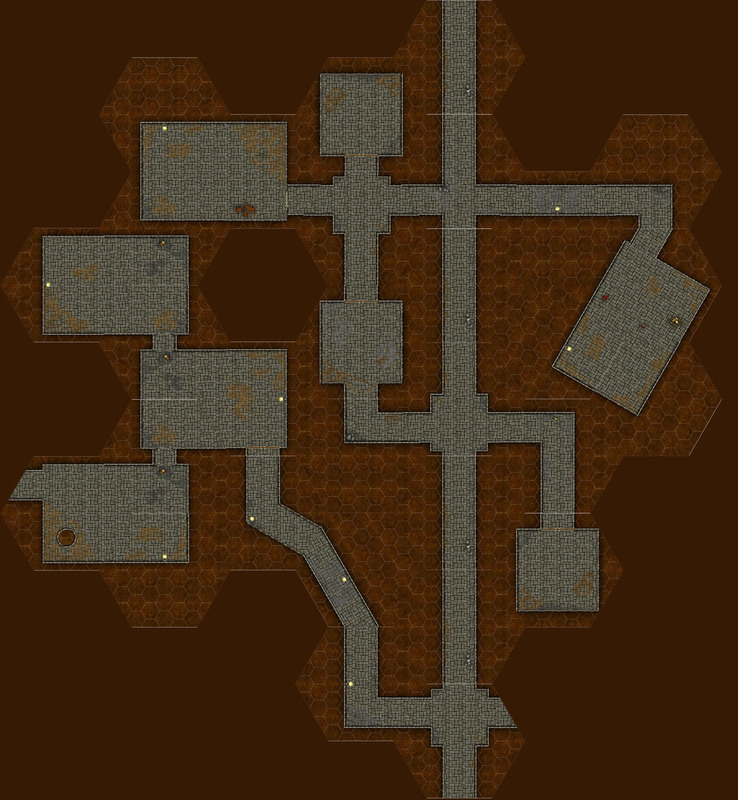 I also experimented on how to use a standard dungeon map and force it onto the 7 inch tiles. 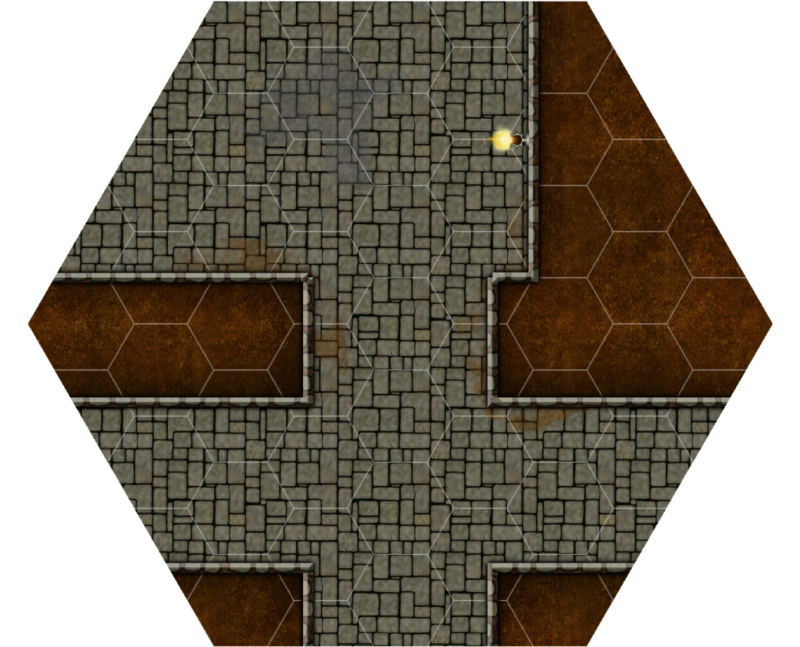 This takes away modularity but makes for some fun map tiles that only work for a specific map. 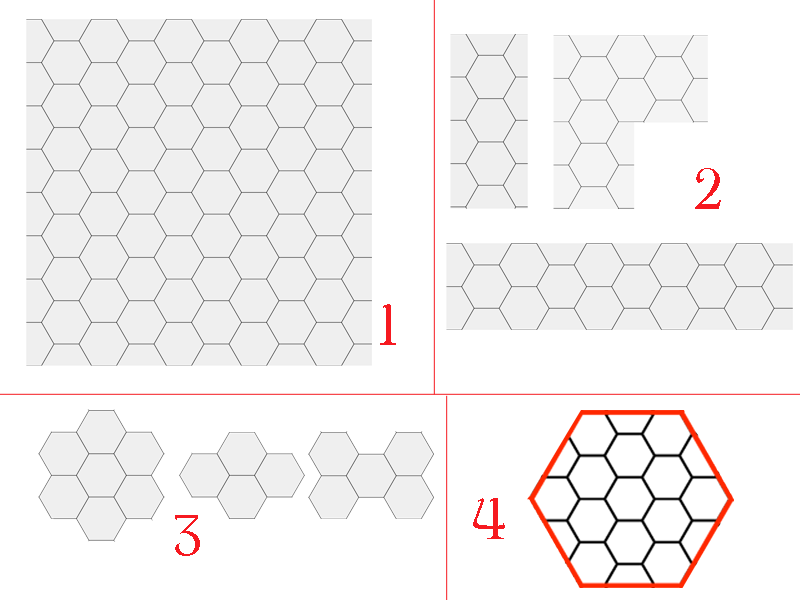 How a few tiles repeated over and over can create a maze. 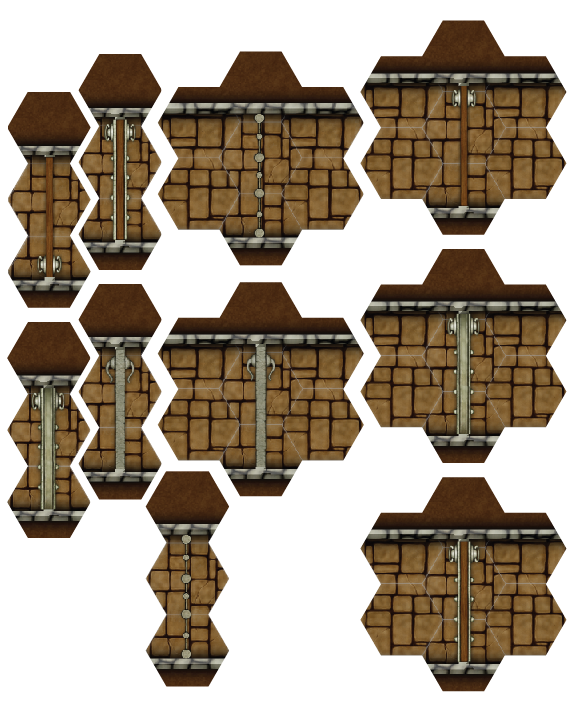 Dense dungeons with small rooms require many special tiles that will contain a whole room plus many half or quarter rooms. 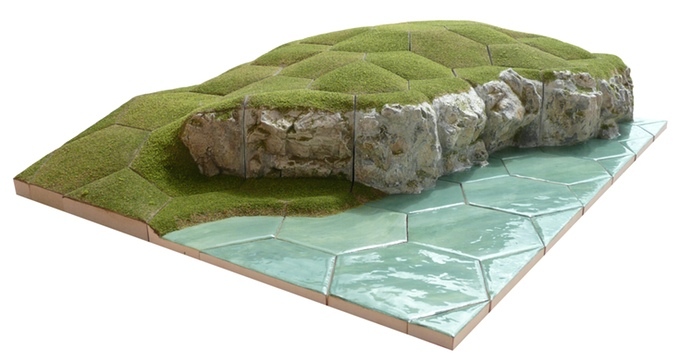 This would require plenty of planning and tiles with specific use. 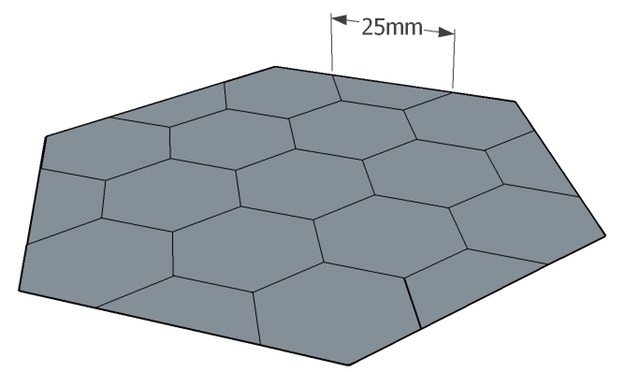 However with my purchase of Kickstarter for Tabletop Hex Terrain I’ve started to think about moving to smaller 4 inch hex tiles. 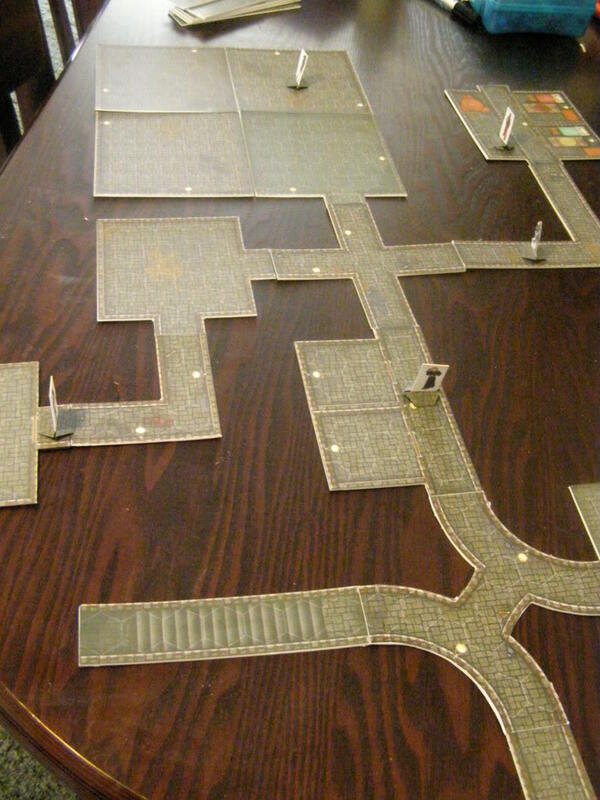 However not just flat tiles but full three dimensional dungeons. This idea was reinforced when the Hexomorfo System was released. 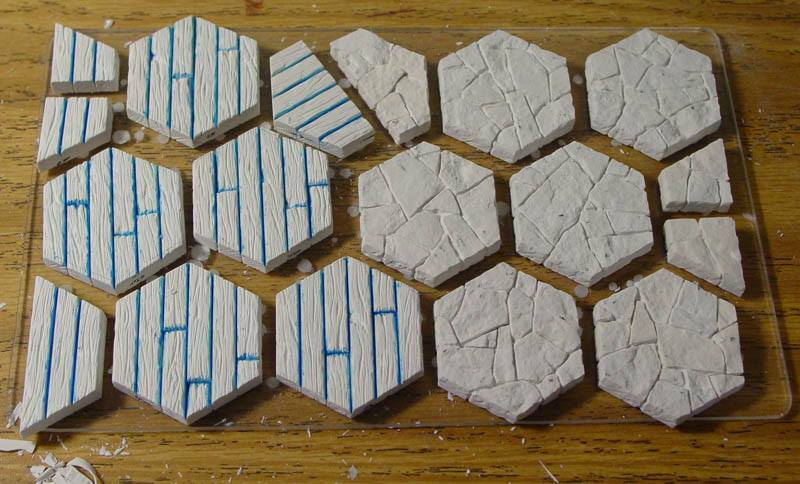 Plus 4 inch tiles would allow me to fit the wargaming niche as well because I could build them in one foot sections. 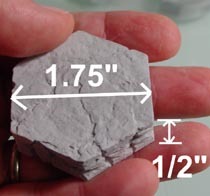 However 4 inch battle tiles is a discussion for another post. 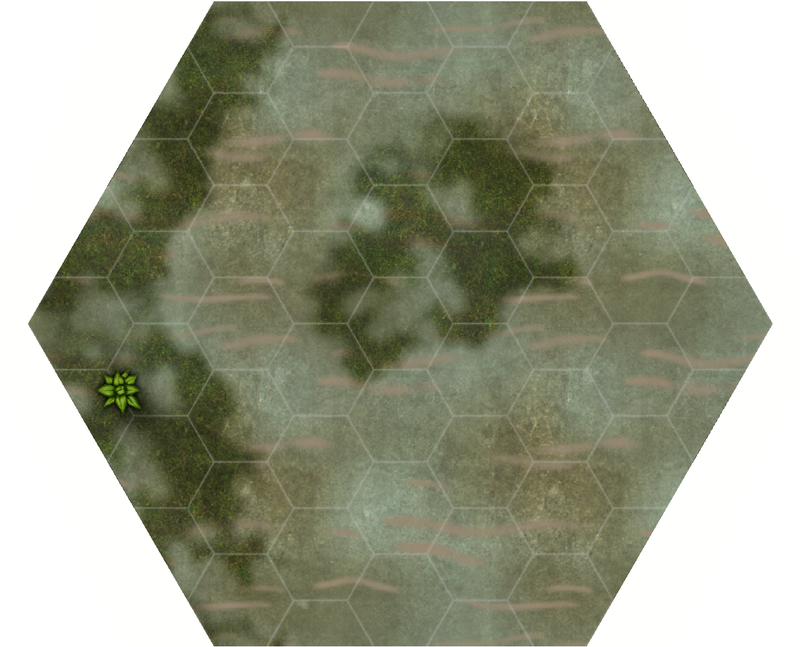 Mapping with Master Hexes by Phil Wright. 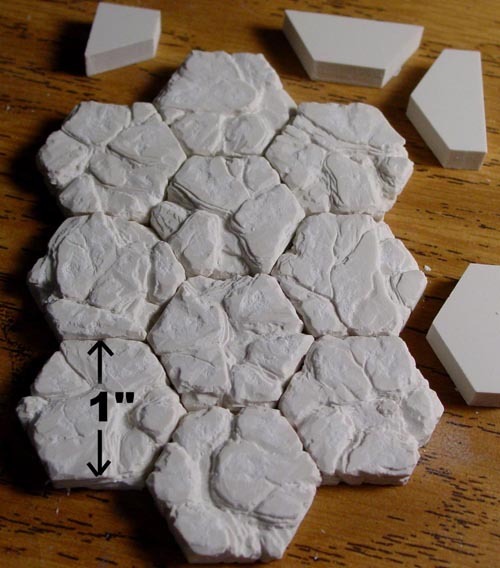 This is a great blog post and gets more indepth than I did for the actual reason for the size of my tiles. 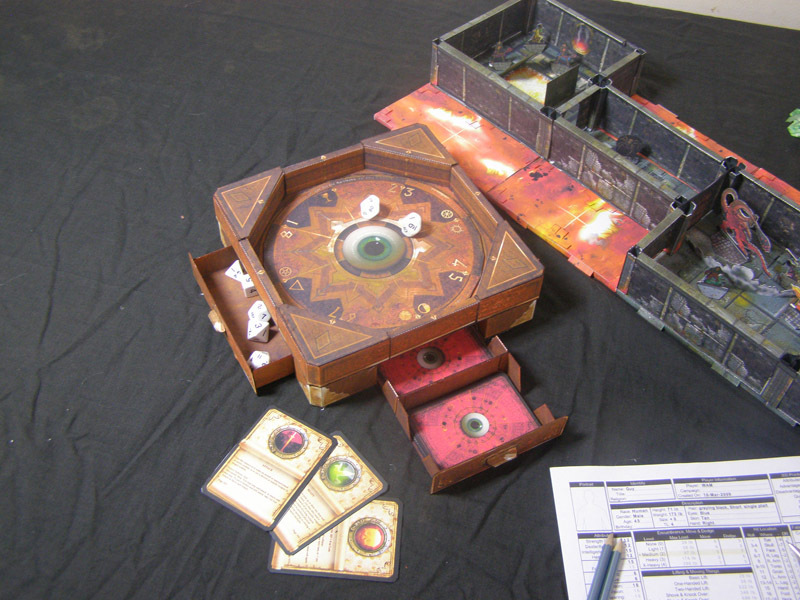 This blog is not only about GURPS Mega Dungeons but other products that can be used with GURPS. One of those has just been released today. 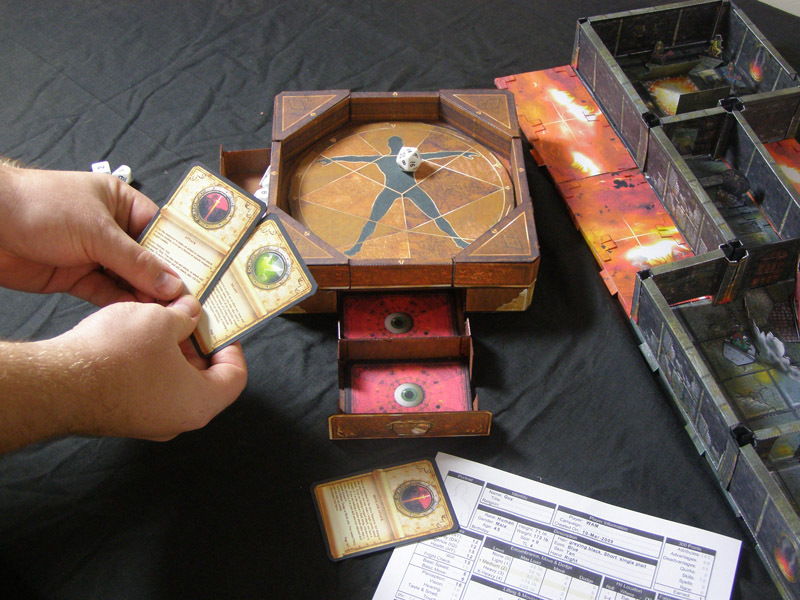 World Works Games: Roll Arena is a fun little game aid that is system generic and has a lot of possibilities for use with GURPS. I’ve had the time to build my own Roll Arena and it comes with two dice drawers and one card drawer. The cards come with numbers 1-8 (each number has a symbol on them) these match with one of the arena inserts allowing for random results with your dice roll. They also come with four symbols; a Sword, Skull, Dove, and Shield. Although not the most perfect symbols for use with GURPS I have used them to replace the free GURPS 4e Combat Cards by using the sword for all attacks ( i.e. : Move & Attack, All-Out Attack), the skull for afflicted conditions (i.e. : Surprised, HP = 0 or less, Stun), the dove for passive actions (i.e. : Evaluate, Ready, Aim, Do Nothing) and the shield for defensive actions (Dodge, Parry, All-out Defence). 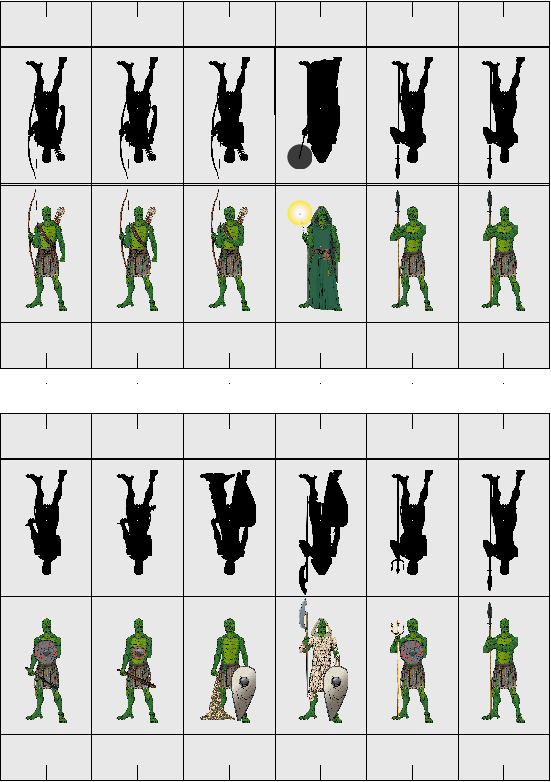 The numbered cards 1-8 could be used for random events or you could just use them for spells or combat manoeuvres that your characters use a lot. The thing is these pdf’s take advantage of Adobe’s form option so you are able to put your own text on the cards! If the product does well there will be additional card styles offered in the future. Lets hope so! This will make it easier for new players to crunch through the combat and their abilities. Plus it seems to work really well with younger players. I’m going to use photoshop on that random hit location to add a spot for eyes, neck, skull, and groin. It is a neat way to allow a random hit location! So for $6.50 USD (not including the cost of ink and cardstock) this is a nice way of adding some extra flavour to your games! I understand that props are not for everyone but I tend to like to use them in my games.